Husky Success Is Our Mission! Your career really does begin while you are enrolled in college. We serve as your coach and mentor as you start to discover your purpose in life and begin to prepare to pursue your career interests. We have a variety of services and resources that can assist you with discovering your calling and we are alongside you as you actively pursue your calling. You should be following the HBU Career Roadmap in order to know what should be accomplished each year in regards to your career goals. HBU alumni are also encouraged to utilize the Drop-In Hours or register an account in Hire-A-Husky in order to make an appointment. Save the date! Spring 2019 events for HBU students and alumni…and more to come. Register in Hire-A-Husky. We would like to define the term “Drop-In” Hours once and for all! Your success is our mission! Students and alumni can stop by the Career Center which is located in the Hinton Center, Room 108. “Drop-In” means you do not have to schedule an appointment. Just show up, sign-in, and meet with someone regarding any career-related topic you would like to discuss. Since the Career Fairs are taking place throughout the year, a popular topic to discuss is resumes. If you do not have a professional resume then Drop-In at the Career Center as soon as possible so you are ready for the Career Fairs and/or applying for any internships and jobs in Hire-A-Husky. We have a specific resume template that employers in Houston love! The Career and Calling resume template can be found in the Career Library. Students can schedule 30-minute appointments with Career Counselors by logging into Hire-A-Husky, uploading a draft of your resume, and then going to Make Appointment on the home page and selecting a day and time that will work for you. Bring your resume with you to Drop-In Hours today to have your resume reviewed by a Career Services Professional! Did you know that we are Certified Professional Resume Writers?! See you soon! Hire-A-Husky is the centralized career services portal at Houston Baptist University. Students and alumni can apply for campus jobs, internships, part-time, and full-time jobs as well as sign up for Campus Interviews and pre-register for Career Development Workshops and HBU Career Fairs. After logging in, update your major and ethnicity and then press SAVE. Upload your current resume to your account and press SUBMIT. A Career Counselor will review your resume and notify you of whether it is approved or needs to be revised. To schedule an appointment, go to the home page of your Hire-A-Husky account and click Make Appointment and select a day and time. Upload your current resume to your profile. We will review it and notify you if it is approved via email. If it needs to be revised we will be sending you an email with Resume Guidelines and an accompanying Resume Template. It is in your interest to use the Chronological Resume Template in the Career Library as this will greatly increase the chances of your resume being approved the first time. NOTE: The more detailed you fill out your profile, the better we will be able to assist you. Fill in the search criteria to narrow down your job search OR just click the Search button (without entering any search criteria) to view all current jobs. NOTE: If your account is pending, then the options below are not available to you. You will be emailed once your account is activated. To view details, employers registered and/or RSVP, click on the Career Event’s name. NOTE: Not all events accept RSVPs or allow students to search the list of employers registered for the event. Referrals – These are resume referrals that you have submitted to an employer’s job, our office has submitted on your behalf, or an employer has downloaded your resume. Placements – These are current job placements and details of those. Schedules – The Schedule Activity shows any interviews, information sessions, or waiting lists for which you have signed up. You can also see any Preselection Activity that is still pending under the Preselection Activity section. RSVPs – These are the Career Events that you are currently RSVPed for. Important Topics for Career Success! We strongly believe our Heavenly Father has given us all purpose in this life and it is up to each of us to recognize our innate abilities and skills and utilize them to ultimately pursue our calling with the confidence that he will never forsake us and will never leave our side as he guides us down our career paths. The Cover Letter introduces the reader to your resume. It is a document that internship & job seekers use to expand upon why their skills and past experience makes them the best for a position. This document takes time to perfect so we highly suggest that you begin working on this document and bring it by for a Career Coach to review. This document is the most important you will ever create in your adult life as it truly opens doors for interviews, internships, jobs, scholarships, graduate school, and a lot more! We know you would like to have the best resume in your class so stop by as soon as possible for us to review it. Hurry as we have an excellent resume template you can start utilizing today! Never estimate the power of a Career Coach. We have over 30 years of experience assisting internship & job seekers with pursuing their careers. Students who continuously meet with us to go over documents like resumes and discuss topics like major, internships, jobs, industries, etc. are students who successfully land internships and jobs. What are you waiting for?! Career Coaches conduct Mock Interviews every week! Mock Interviews are practice interviews for work-study, internship, and job interviews. Career Coaches typically have students schedule a 30 minute appointment in Hire-A-Husky, come dressed professionally, and bring a copy of your resume. The Career Coach asks the student/alumnus specific questions related to an internship or job interest and then provides specific feedback at the end of the Mock Interview. If you would like to be chosen for an internship or job then please schedule a Mock Interview today! Hire: The first step to getting hired for work-study, internships, part-time and full-time begins with setting up your profile in Hire-A-Husky. You can also pre-register for Workshops, Campus Interviews, and Career Fairs. We recommend you use Hire-A-Husky to apply for jobs before using any other resource as employers deliberately post in the database in order to recruit Huskies! Internships: If you are interested in gaining experience in your field then we highly recommend you take advantage of internships while in college. Research has been shown that students who complete internships have an easier time starting a career after college. We have launched our very own Internship program for Huskies! The Community Internship program consists of employers who specifically want to hire Huskies as interns! We hope you sign up for this program soon! Resume: The resume will become the most important document you have ever created! Spend time with designing and creating this life-changing document as employers use it to determine whether they should call you fo ran interview! We strongly recommend that Huskies always meet face-to-face with a Career Counselor regarding their resume as this document is designed to be a conversation starter and the Career Counselor might have a variety of questions regarding the information you’ve added on the document. We have a specific resume template and resume guidelines for all Huskies! Do not download a template from Microsoft Office! Use the resume template specifically for Huskies and drop by during Drop-In Hours or make an appointment in Hire-A-Husky. You will also need to upload your final draft of your resume to your profile in Hire-A-Husky. We will send your approved resume to companies for internships and jobs! Experience or Education: At this point in planning your career, you should have scheduled an appointment with a Career Counselor to discuss what type of experience your career requires and also whether it will require additional education or certifications. Making time for your career is the right thing to do if you are interested in leading a successful career. Pro-active Huskies will know years before graduation what is required of them to pursue their careers after college. Schedule your Career Counseling appointment in Hire-A-Husky TODAY!!!! 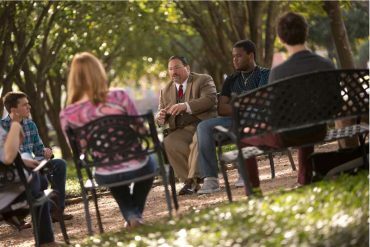 Your career begins on the very first day of class here at Houston Baptist University. No longer are students waiting until their last year in college to start developing their skill-sets for the World of Work. God has a plan for each of our lives and as we seek to be an active participant in His daily will this plan will gradually unfold. The Office of Career and Calling has carefully crafted a journey for your to follow throughout your academic years in order to gain the following skills; networking, resume writing, interviewing, team-building, leadership, time management, public speaking, and a host of additional skills. The Career Roadmap consists of specific milestones that freshmen, sophomores, juniors, seniors, and graduate students should accomplish during each school year. READY! SET! GO! to your name. It is okay to have your section titles at 12 font while the information in each section can be at 10-11 font. This helps with fitting more information on one page. your field of interest then the resume should be only on one page. Candidates with more than five years of experience have the option of keeping their resume on one page or going to two pages. Candidates with 10+ years’ experience should have a 2-3 page resume. If you are close to one page, but keep spilling over to the second page then we suggest that you go to PAGE LAYOUT and then MARGINS and choose the NARROW option so you can fit more text on one page. because of the formatting associated with these templates. 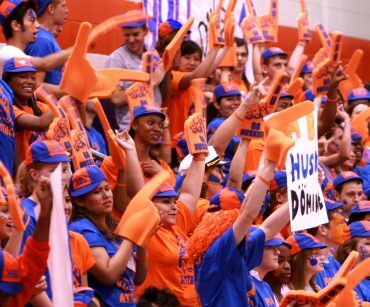 The accepted resume template for all HBU Huskies is how your resume should be formatted. The text/font on your resume should be black. Any colors outside of black will result in your resume not being approved in Hire-A-Husky. Your Education section should reflect your most current degree you are pursuing at the top of the section. If you have transferred from a community college, you should add the current degree you are pursuing at the top. 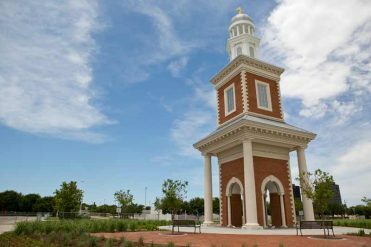 Your high school should never be above the current degree you are pursuing at HBU. If your resume is missing the degree you are pursuing at HBU, it will be rejected. The Sections on your resume should be in a certain order depending on the years of experience you possess. Keep in mind that sections 1 & 6-8 are optional, but highly encouraged as it gives you additional opportunities to sell your well-rounded experience to potential employers. If you have more than five years of experience then the sections should be in the following order: 1. Professional Summary 2. Skills/Summary of Qualifications 3. Professional Experience 4. Organizations/Affiliations 5. Education; Keep in mind that the fourth section is optional. This is a section where you add bullets regarding any software you are familiar with such as QuickBooks, Cool Edit Pro, Photoshop, Illustrator, etc… If you are interested in the medical field then you should also add any lab instruments you are familiar with as well as medical theories, concepts, and medical procedures that are relevant to the field. The skills section is also where you add any additional languages you are familiar with besides English. Please do not list that you can speak English. Please do not add Microsoft Office unless you have advanced knowledge of the suite. It is expected that you should be familiar with Microsoft Office entering college. The key to a great skills section is being specific regarding your knowledge and expertise. Adding general skills like “Great Communicator”, “Attention to Detail”, etc… is not specific and will not cause an employer to contact you. The Office of Career and Calling suggests that all internship/job descriptions have a minimum of three-five bullets/lines explaining each internship or job on your resume. If your job descriptions are in paragraphs then your resume will be rejected. This makes your resume much easier to read as employers spend less than 10 seconds reading a resume. If your job descriptions have less than three bullets/lines then your resume will be rejected. with I, My, You, or Me. LinkedIn URL, or any other link that conveys your experience/portfolio. We also highly suggest that you attend our Drop-In Hours to meet with a Career Counselor about your resume/job search. Drop-In Hours do not require an appointment as during this period a student may meet with a Career Counselor for 10-15 minutes regarding their preferred topic of choice including resumes, job search, choosing a major, etc… Students attending Drop-In Hours or appointments usually walk out of the session with a finished resume. Curriculum Vitae during Scheduled Appointments. In partnership with the School of Nursing & Allied Health and the College of Science & Mathematics as well as the Nursing Student Association and Alpha Epsilon Delta, the Office of Career and Calling will be hosting the Fall Nursing & Healthcare Career Fair! Majors Invited: Kinesiology: Specialization in Sports Management (BS), Kinesiology: Specialization in Wellness Management (BS), Nursing – Honors (BSN), Nursing (BSN), Pre-Nursing, Biochemistry-Molecular Biology (BS), Biology (BS), Chemistry (BS), Mathematics (BS), Physics (BS) Pre-Dentistry, Pre-Engineering, Pre-Medicine, Pre-Optometry, Pre-Pharmacy, Pre-Physical Therapy, Pre-Physician’s Assistant. The Office of Career and Calling in partnership with the Archie Dunham College of Business brings BAM to all industries! BAM is a Business-Focused Career Fair offered at Houston Baptist University! All industries including Financial Services, Accounting Services, Consultancy, Government Services, Healthcare Administration, Technology, Retail, Staffing, Banking, Oil & Gas, Marketing, Public Relations, Advertising, Grocery, Transportation & Logistics, Hotel & Restaurant Management are invited to BAM! This comprehensive Career Fair is not just for undergraduates nor just for those seeking internships. BAM is a networking experience that encompasses undergraduate and graduates programs as well as alumni from the Dunham College Business and students will be seeking internships alongside those seeking part-time and full-time jobs! The following students organizations are invited to participate at BAM: The Accounting Society, The Finance Society, Marketing Student Association, Student Society of Human Resources Management! Majors Invited: Business Administration, Master of Business Administration, Finance, Accounting, Master of Accountancy, Marketing, Management, MS-Human Resources Management, International Business, Master of International Business, Cinema & Media Arts, Journalism, Mass Media, Multi-Media. The Education & Government Career Fair is the signature Career Fair of the fall semester where non-profit organizations & government agencies including law firms are invited to recruit HBU students and alumni for internships, part-time and full-time openings. This Career Fair will begin at 1:00pm and will end at 4:00pm with a hot lunch provided at 12:00pm. Students and alumni from all majors and degree programs are invited to attend this event. 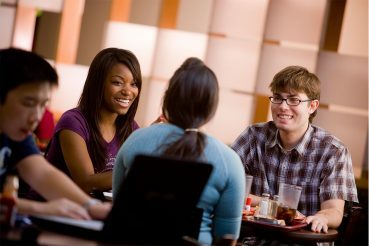 Majors Invited: All majors including Criminal Justice (Minor), English (BA), Family Studies (Minor), Government (BA), Great Texts (BA), History (BA), Latin American Studies Legal Studies (BA), Medical Humanities (BA), Sociology (Minor), Spanish (BA and minor), Speech Communication (Minor), Philosophy (BA), Master of Liberal Arts (MLA), Master of Arts in Philosophy (MAPhil), Elementary Education (EC-6) with Bilingual Certification (BS), Elementary Education (EC-6) with ESL Certification (BS), Elementary Education (EC-6) with All Level Special Education Certification (BS), Teacher Certification, Elementary Education (EC-6), Composite Science (4-8) with Teacher Certification (BS), Composite Social Studies (4-8) with Teacher Certification (BS), English, Language Arts, and Reading (4-8) with Teacher Certification (BS), Mathematical Studies (4-8) with Teacher Certification (BS), Teacher Certification, Secondary Education (4-8) (BS), Composite Science (7-12) with Teacher Certification (BS), Composite Social Studies (7-12) with Teacher Certification (BS), English Language Arts (7-12) with Teacher Certification (BS), History (7-12) with Teacher Certification (BS), Life Science (7-12) with Teacher Certification (BS), Mathematical Studies (7-12) with Teacher Certification (BS), Physical Science (7-12) with Teacher Certification (BS), Speech Communication (7-12) with Teacher Certification (BS), Teacher Certification, Secondary Education (7-12) (BS), All Level Art with Teacher Certification, Kinesiology with All Level Teacher Certification (BA), Spanish with EC-12 Teacher Certification (BS), Teacher Certification, All Level (EC-12) (BS), Psychology (BA and minor). In partnership with the Association of Student Educators and the College of Education & Behavioral Sciences, the Office of Career and Calling is launching the Education & Counseling Career Fair! The College of Education has a plethora of programs/majors below for employers to consider. A delicious lunch is always served to employers prior to the Career Fair! Undergraduate Majors Invited: Elementary Education (EC-6) with Bilingual Certification (BS), Elementary Education (EC-6) with ESL Certification (BS), Elementary Education (EC-6) with All Level Special Education Certification (BS), Teacher Certification, Elementary Education (EC-6), Composite Science (4-8) with Teacher Certification (BS), Composite Social Studies (4-8) with Teacher Certification (BS), English, Language Arts, and Reading (4-8) with Teacher Certification (BS), Mathematical Studies (4-8) with Teacher Certification (BS), Teacher Certification, Secondary Education (4-8) (BS), Composite Science (7-12) with Teacher Certification (BS), Composite Social Studies (7-12) with Teacher Certification (BS), English Language Arts (7-12) with Teacher Certification (BS), History (7-12) with Teacher Certification (BS), Life Science (7-12) with Teacher Certification (BS), Mathematical Studies (7-12) with Teacher Certification (BS), Physical Science (7-12) with Teacher Certification (BS), Speech Communication (7-12) with Teacher Certification (BS), Teacher Certification, Secondary Education (7-12) (BS), All Level Art with Teacher Certification, Kinesiology with All Level Teacher Certification (BA), Spanish with EC-12 Teacher Certification (BS), Teacher Certification, All Level (EC-12) (BS), Psychology (BA and minor). Graduate Majors Invited: Master of Arts in Christian Counseling (MACC), Master of Arts in Counseling (MAC), Master of Education (MEd) with Specialization in Counselor Education, Master of Education (MEd), Master of Arts in Psychology (MAP), Master of Arts in Psychology: Licensed Specialist in School Psychology (MAP-LSSP). In partnership with the School of Nursing & Allied Health and the College of Science & Mathematics as well as the Nursing Student Association and Alpha Epsilon Delta, the Office of Career and Calling will be hosting the Nursing & Healthcare Career Fair! Majors Invited: Kinesiology: Specialization in Sports Management (BS), Kinesiology: Specialization in Wellness Management (BS), Nursing – Honors (BSN), Nursing (BSN), Pre-Nursing, Biochemistry-Molecular Biology (BS), Biology (BS), Chemistry (BS), Mathematics (BS), Physics (BS), Psychology, Pre-Dentistry, Pre-Veterinarian, Pre-Art Therapy, Pre-Engineering, Pre-Medicine, Pre-Optometry, Pre-Pharmacy, Pre-Physical Therapy, Pre-Physician’s Assistant. The Office of Career and Calling in partnership with the Archie Dunham College of Business brings BAM to all industries! BAM is the first Business Focused Career Fair offered at Houston Baptist University! All industries including Financial Services, Accounting Services, Consultancy, Government Services, Healthcare Administration, Technology, Retail, Staffing, Banking, Oil & Gas, Marketing, Public Relations, Advertising, Grocery, Transportation & Logistics, Hotel & Restaurant Management are invited to BAM! This comprehensive Career Fair is not just for undergraduates nor just for those seeking internships. BAM is a networking experience that encompasses undergraduate and graduates programs as well as alumni from the Dunham College Business and students will be seeking internships alongside those seeking part-time and full-time jobs! The following student organizations are invited to participate at BAM: The Accounting Society, The Finance Society, Marketing Student Association, Student Society of Human Resources Management, and more! Have you heard about the amazing lunch menu for Employers at HBU Career Fairs?! Sign up for BAM to experience great food and highly favored candidates! The Church & Faith-Based Career Fair is now a recruiting option at Houston Baptist University! All faith-based organizations including Churches of all denominations, camps, mission-oriented organizations are invited! Non-Profit organizations interested in recruiting blessed and highly favored candidates are also encouraged to attend! Our students have diverse interests including working in a church, becoming a camp leader during the summer, going on mission trips, and much more! Regardless of your recruiting needs, all majors are invited to the Church & Faith-Based Career Fair! Majors Invited: ALL majors including Biblical Languages (BA), Biblical Studies (BA), Christianity (BA), Classics (BA), Latin (minor), Practical Theology (BA), Theological Studies (BA), Master of Arts in Apologetics (MAA), Master of Arts in Biblical Languages (MABL), Master of Arts in Christian Leadership (MACL), Master of Arts in Theological Studies (MATS), Master of Divinity (MDiv). Are you interested in learning more about the different industries in Houston? Do you want to network with professionals in your industry of interest? You should attend The Career Insiders: Job Seeker Series! We partner with company representatives from most industries to speak during this series. Below was last FALL Edition of the Career Insider Series. Stay tuned for more on this year’s line-up!!! The Career Insiders Series (aka, Appetizer Tuesdays!) will continue this Fall! We are always looking to bring more employers on campus to connect with Huskies. The purpose of each session is for you to network with someone who works in your industry of interest and to learn about a specific career topic. Your choice of Appetizers (Chicken & Beef Sliders, Meat/Cheese/Veggie sampler, and other “lite bites”) will be served during each event below! Remember, you must attend all events in an entire series like the one above in order to receive the FREE gifts. The attire is business casual and you are more than welcome to bring your resume if you would like to pass it along to the speaker. Refreshments and Snacks will be available! NOTE: The Career Insiders: Job Seeker Series has limited seating (20), so please register in advance @ Hire-A-Husky to reserve your spot! Space is going quickly! 4. After taking an assessment, you will need to visit the Office of Career and Calling to meet with a Career Counselor.